It’s my most favourite season of the year, it’s my birthday month and the season in which this very blog was born. Hence a celebration of all things food and creativity is in order, don’t you think? How about we celebrate with everyone’s favourite: MY FREE INSTAGRAM FOOD PHOTOGRAPHY CHALLENGE!!!! Eager to find how to get the most out of your camera and discover your light? The Spring and Autumn online food styling courses completely sold out as did the one the one this past Winter, giving me lots of online teaching experience and consequently a really good understanding how best to support you best through the course. With some new features for Spring 2019, this is the best online course I’ve created yet and I’m so excited to work with you alongside a small, but mighty student group. Are you in? Want to learn food photography and food styling? 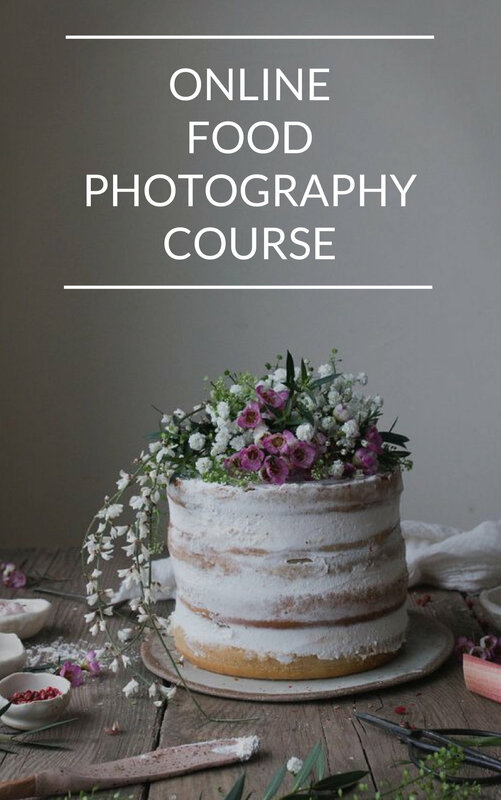 Want to have not one, but two experienced teachers and professional food photographers show you everything you need to know about food styling, shooting like a pro on your DSLR, editing in Lightroom and taking gorgeous food photos on your mobile phone? Then listen up because my London food styling, food photography for DSLR and mobile phone workshop is now open for registration. After having so much fun teaching my first on-line interactive live food photography, food styling and visual story telling e-course I've decided to do it all again and welcome you to join me for my second LIVE interactive online food styling, food photography and visual story telling course! To be honest I hadn't planned to launch the online food styling course again until the new year, but following the lovely feedback I received from the students who signed up for the course over the summer (see below) and my desire to make the course even better this time around, I can't wait to start teaching you all I know about food styling and food photography sooner rather than later. Want more info? Then please read on.